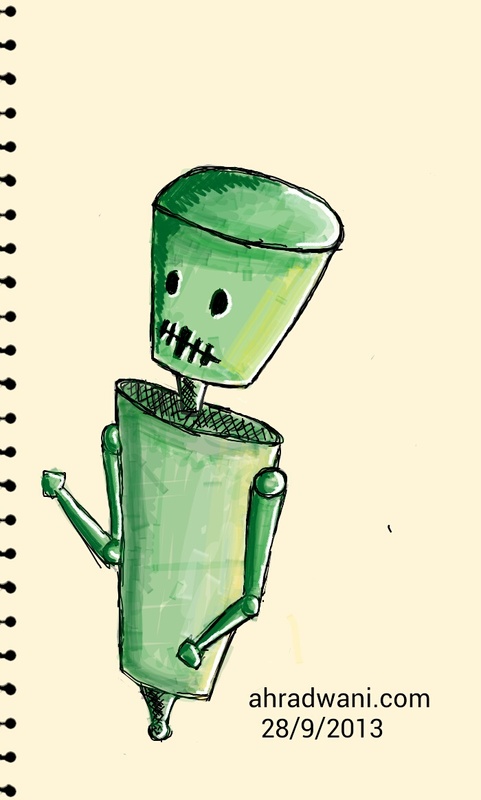 A sketch of a ROBOT using Galaxy S3 S-Memo app and normal stylus that can be used with any other iPad as the S3 dose not have a pen. The first sketch is final result colored Robot. 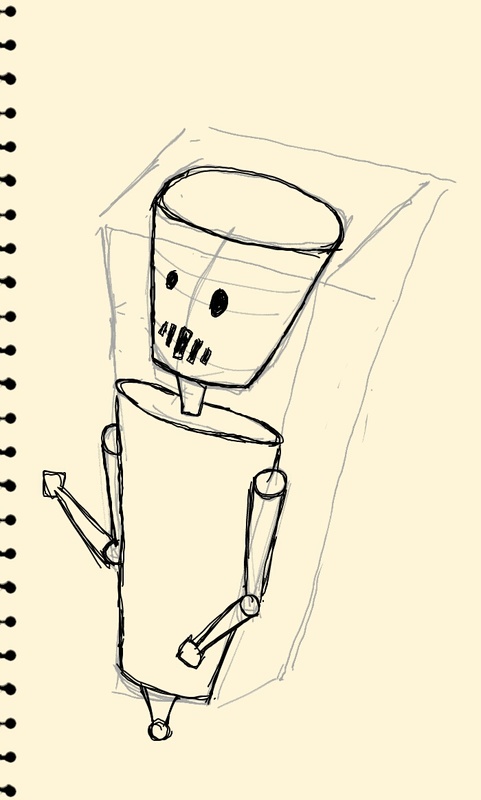 This sketch is the first step as you can see box and robot outline using the gray color and fast lines.